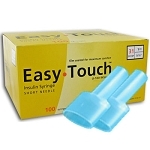 100 Pack of EasyTouch Insulin Syringes - designed and manufactured to deliver the highest level of comfort to the consumer. Triple-bevel cut to a super sharp point, electro-polished to remove microscopic burrs, and film coated for a smoothness. Includes 2 (TWO) FormaGenix brand UNIVERSAL ampule openers. Available in 1/2", either 1cc & .5cc. 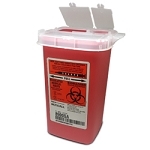 Select Syringe Size in drop down menu below. 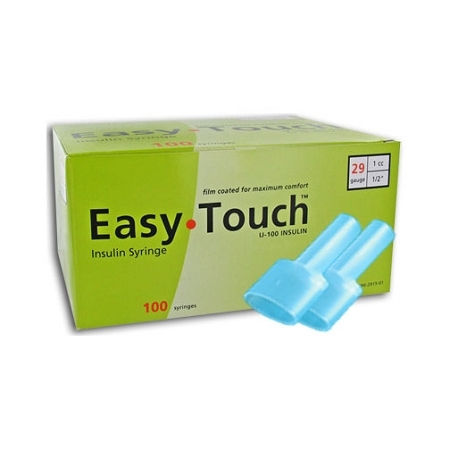 STR, a worldwide Independent Research Laboratory, scored EasyTouch® Insulin Syringes 10 out of 10 versus B-D Insulin Syringes. Key tests included needle sharpness, tensil strength, glue strength and product finish.